A hen party wouldn’t live up to its fun reputation without a little mischief. This product is the perfect way to set the tone for the evening – it’s also a fine excuse to feel up a few hotties along the way. 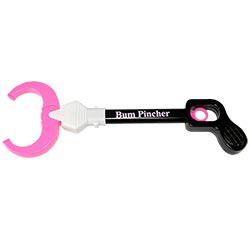 The joy of the bum pincher is unparalleled – it’s practical (hotties…) and it’s an excellent dare for the Bride-to-Be. See how many buns of steel she can pinch and watch the guys come a-flocking. This generously sized piece of apparatus is sure to stir up a whole load of attention, or it could just be used to reach (read: pinch) drinks in the long bar queue. It’s a win win. "This was passed around between us all evening. Obviously a hit with the men too as they all loved having their bum pinched! A lot of laughs came with this product!" "Didn't use this much - I think we kind of forgot that we had it. It was funny when we did remember though ;-)"
"Excellent item!! so much fun lol"
" The mother of the bride had such a lot of fun with this bum pincher! Bare bums and all!! " "Funny - classic and original. 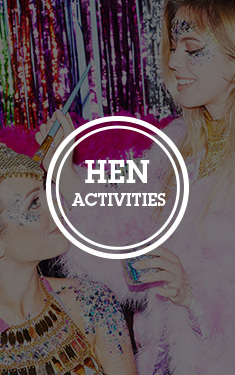 not many of them around - so nice and different from the other hen do accessories - a hen do staple." "Great product - the hen loved it." "Don't think hen will use it but th rest of the girls will"
"This is the perfect tool for any hen night...pecs, bums, anywhere can be pinched, it’s brilliant!!" "An extremely fun and amusing product of basic quality but as cheap as it was it certainly was good value for money"
"It didn't work and broke as soon as we got it out of the packet :("
"Didn't hit it off as I thought it would have. Have used it in the past and it was mad. Allow some girls did use it to their advantage"
"Much fun was had with this, a good cheap game to have!" "I liked the idea of this but we tried it out before hand and ours doesnt work properly doesnt pinch ... but never mind we will still have fun!" "good fun and a good laugh, the bride loved using this!" "Great item, had much fun with this. " "great fun, pity it doesnt give a proper pinch"